More families than ever are choosing staycations this year, holidaying in Ireland in a bid to save money and enjoy the heatwave. Which means instead of heading to an airport, many of us are embarking on long car journeys to reach British beaches and beauty spots – and that often means hours cooped up in the car with restless young children. A new survey has revealed the top ways parents survive interminable car journeys with the kids, and, not surprisingly, among the most popular tactics is playing classic car games such as ispy and 20 questions (48%), followed by being forced to listen to their children’s favourite song on repeat (32%). The survey for iCarhireinsurance also found 24% of parents bribe their children to be well-behaved with sweet treats, and another 21% promise a visit to a fast food outlet, while 11% of parents cope with the stress of long car journeys by visualising their first pint or glass of wine on arrival. Make sure to pack plenty of toys to avoid young kids getting bored and having a meltdown, or opt for games such as ispy, car bingo and the licence plate game. CDs and audio books will also provide great entertainment and help them relax. Remember that looking down at books or tablets for long periods could give children motion sickness, so try to restrict their use when possible. When kids are repeatedly asking how far is left to go, twist the truth and reassure them you’re almost there. Kids have little sense of time and are less likely to throw a tantrum if they think it’s a short journey. One way of doing this is to break the drive up with regular stops and portray it as multiple smaller trips. Remember to stop often, but not too often, and not for too long – just enough time for a toilet break and to stretch your legs. Otherwise you run the risk of extending your journey unnecessarily. By driving in the evening, you’re coinciding with your child’s bedtime, meaning they’re much more likely to sleep through the journey. This is also a good way to cut back on stops as you’ll inevitably make less toilet breaks if children are asleep, meaning you can get to your destination quicker. A good tip is to dress children in their pyjamas before setting off so they’re comfortable and more likely to fall asleep. They’ll also associate this with bedtime and wind down naturally, hopefully meaning they’re less likely to have a tantrum. “Have plenty of cushions and rugs so they can snuggle down and sleep,” advises Hayman. 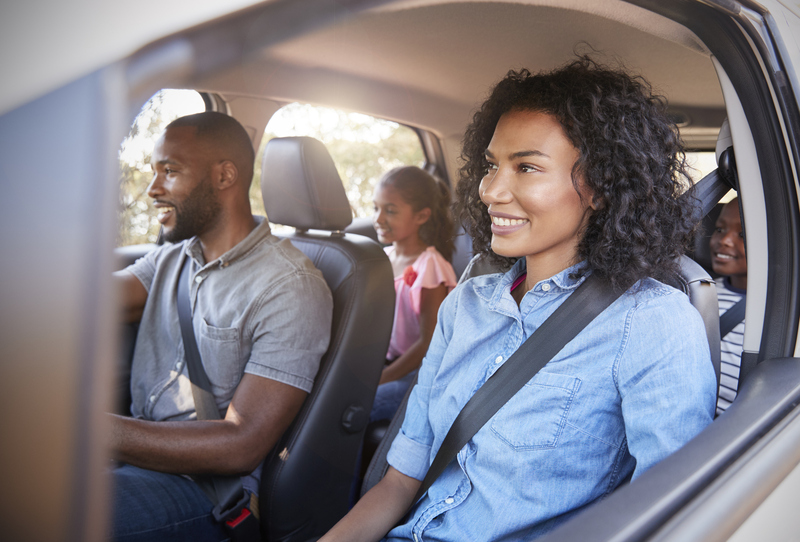 Pack strategically to ensure the car isn’t overcrowded, as children will feel uncomfortable and claustrophobic if they don’t have enough space. Make sure everything you need is to hand to cut back on stops. Snacks, drinks, anti-sickness medicine and a change of clothes are all must-haves. For kids that get car sick, don’t forget to pack bags that can be used as sick bags. By incorporating physical activity into the trip, children will be tired and more likely to sleep through the drive. Time the journey to include some playtime beforehand, or research your route to see if you pass any national parks or English Heritage sites for some fresh air and a stroll. Not only will this allow kids to let off steam, but fresh air will help clear the head of whoever’s driving.